Update: Sheeran is apparently fighting for her post, with reports from Inner City Press suggesting her senior staff is lobbying on her behalf and that she herself is appealing to Republicans in the United States Congress to threaten cuts in funding for the World Food Program if she is not re-nominated by the Obama administration. Some months back, I spoke with a senior contact at the World Food Program about the upcoming end of Josette Sheeran‘s first term as Executive Director of the World Food Program. 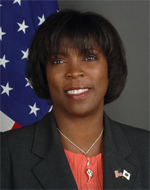 At the time, the Obama Administration had not yet determined if it would re-nominate Josette Sheeran, who was first nominated by President George W. Bush in 2007. Sheeran’s term is up in April 2012 and it was expected that the Obama Administration would announce whether it would support a second term before Friday’s meeting of the WFP Executive Board. Colum Lynch at Turtle Bay reported last week that the Obama administration has decided not to re-nominate Sheeran, instead pushing the current U.S. representatives on the FAO Executive Board, Ertharin Cousin, for the post. But though the job usually goes to the American nominee, the only response to the nomination has been the sound of crickets. What “consultation with the Board” means though is entirely up to the Secretary General and Director-General. In previous years, it has taken the form of a formal discussion at a meeting of the Board. At other times, it has been calls to individual Board members. The process is extraordinarily opaque and the WFP Executive Board has little ability to affect the process or its timeline, though the Board president has made overturesin that direction this year. The President shared with the Board a letter she intended to send to the United Nations Secretary-General concerning Board consultation in the process to appoint or reappoint the WFP Executive Director, whose new term would become effective in April 2012. The letter informed the Secretary-General of the Board’s intention to contribute to an open and transparent process for the appointment, and requested that he provide an indication on the intended timing and mode of consultation. In the meantime, the official re-iterated that Sheeran is interested in a second term, but is keeping her head down and staying focused on the work at hand. Lynch noted that some in the Obama administration are concerned that Ban has remained silent because he doesn’t support Cousin’s nomination. (It’s all about them, of course.) More likely though, Ban is simply including the head of the WFP among the other changes he intends to make in his cabinet early next year. I expect that a week or so before the Executive Board’s meeting in February, Ban will praise Sheeran for her service and announce Cousins as his pick. Ban is, after all, still Ban, even in a second term.